The Maori people named their fishing ground here for the abundant crustaceans hiding in the shallow waters?? ?kaikoura means "feast of crayfish." 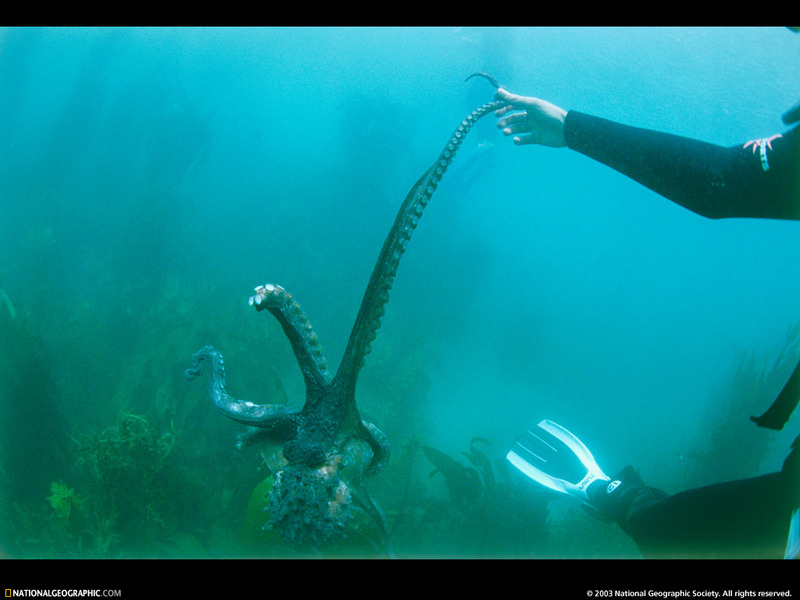 Other hunters, like this octopus, are also attracted to the crustacean feast.